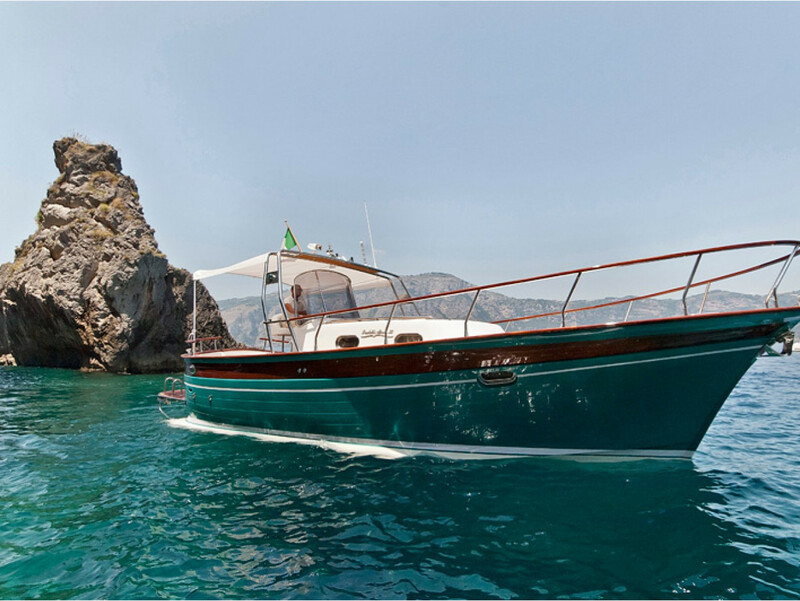 A sunset cruise in Positano, to enjoy the thrill of the Amalfi coast at nightfall. Our sunsets are the most spectacular nature can offer, and the palette of colours and shades, ranging from orange to yellow, from red to purple, will delight your eyes and will leave in your memory the unforgettable postcard of your holiday in the Amalfi Coast. We promise you one of the most beautiful evenings of your life! 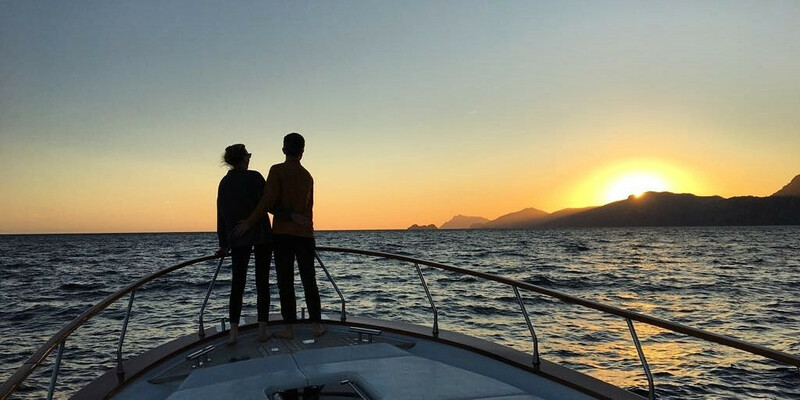 The tour by boat at sunset on the Amalfi Coast, our Sunset tour is an excursion not to be missed, for those in love, for nature lovers, for the lovers of stunning beauty, pure hedonists. You will enjoy the pleasure of sailing in the warm breeze of the evening and enjoy the lights of the many places along the coast where you will have fun, be enchanted and fall in love! When the sun goes down, with the night still young, we'll toast together with an aperitif offered by the skipper! • Departure from the port at the agreed time. • Stop at a scenic spot for an aperitif at nightfall. For the reservation it is recommended to pay 30% of the price at the moment of booking. 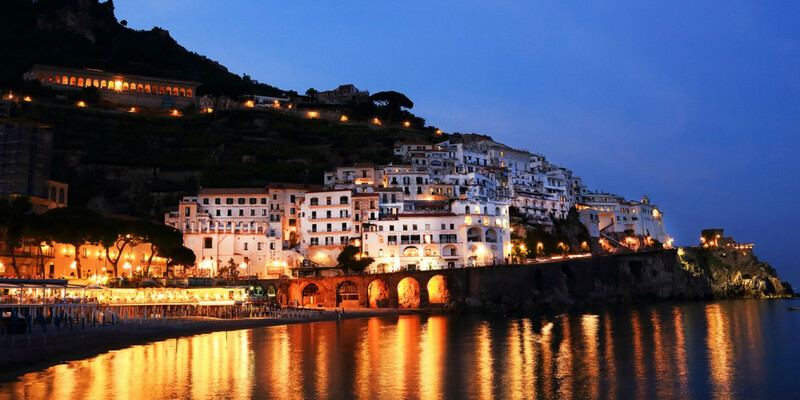 Would you like more information on our excursion at sunset in Positano?